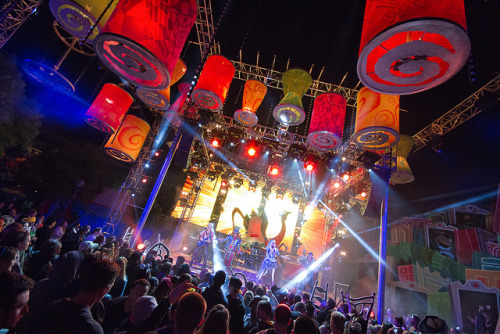 The Mad T Party stage in California Adventure! 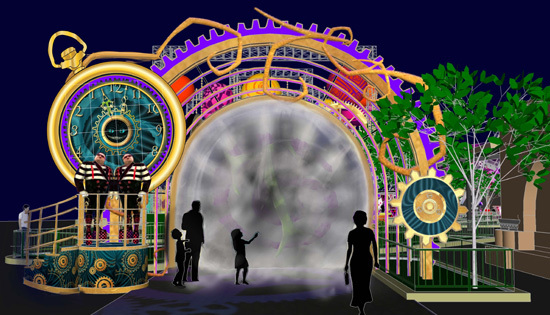 In order to attend this Mad T Party, you must enter the mystical portal, also known as the rabbit hole! However, not just anyone can enter this portal, one must know the secret password. 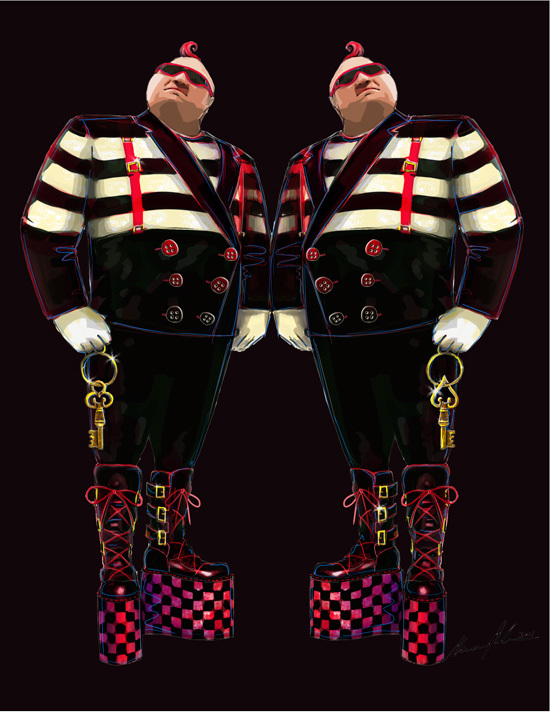 Each night a different password will be necessary to get past the two bouncers, Tweedle Dee and Tweedle Dum! In order to find these passwords, you must search for the Hatters who are scattered around California Adventure. 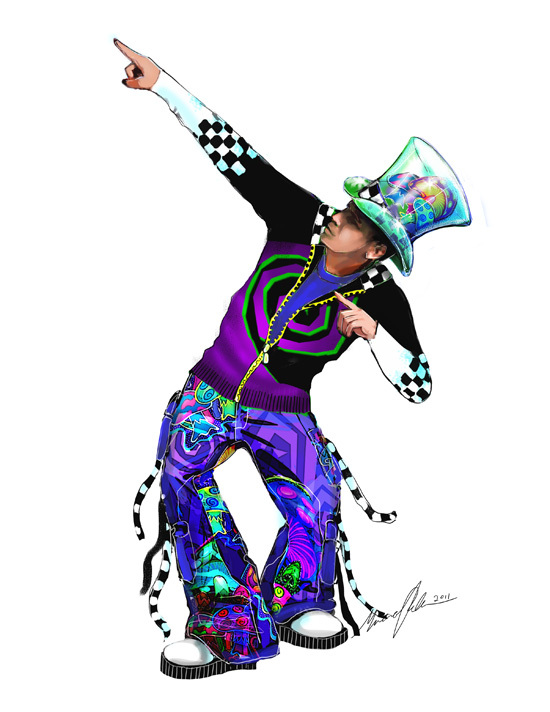 These Hatters will be easily noticeable due to their top hats and wacky colored outfits. Once spotted, you may receive an "invitation" which includes this secret password. Remember the password, tell Tweedle Dee or Tweedle Dum, and you're in! What happens after you enter the rabbit hole? 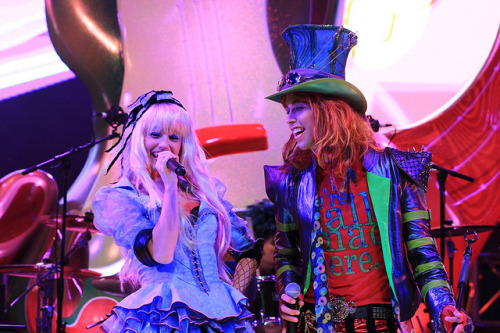 The Mad T Party Band: The Mad T Party band includes many members that will provide the mad guests with many of their favorite dance tunes such as songs by Lady Gaga, P!nk, and Gwen Stefani. Each member is based off of one of the famous characters in Alice and Wonderland. 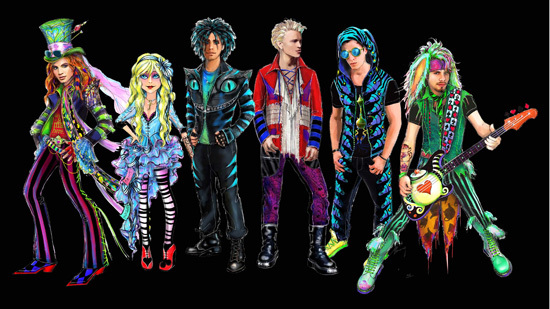 The band includes the Mad Hatter as one of the lead singers, March Hare on the bass, Dormouse on the lead guitar, Caterpillar on the keyboard, Cheshire Cat on the drums, and every once in a while Alice will drop in throughout the night to sing as well! For a brief preview of the portal and the band, take a look at this video! 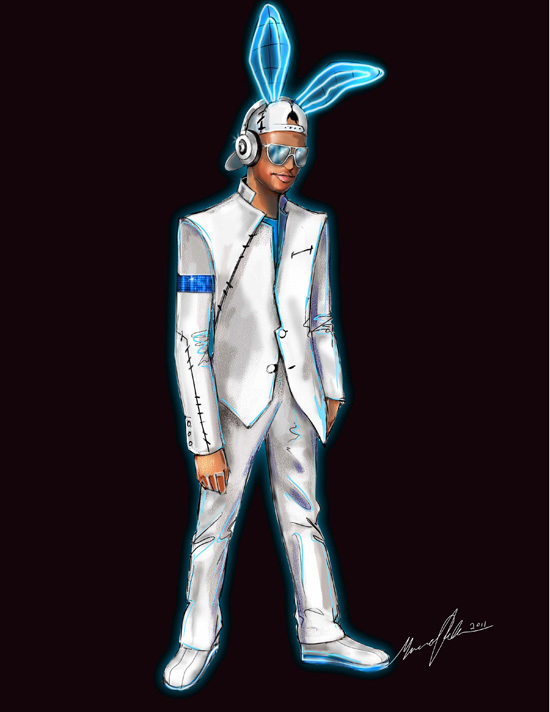 When the band isn't playing, the White Rabbit DJ will take over with his "mad" remixes! The DJ will be played by many DJs such as Jason Jass, Michael Paul, Adam Auburn, Mi$$y B, David Bullock, and Wendy Walker. 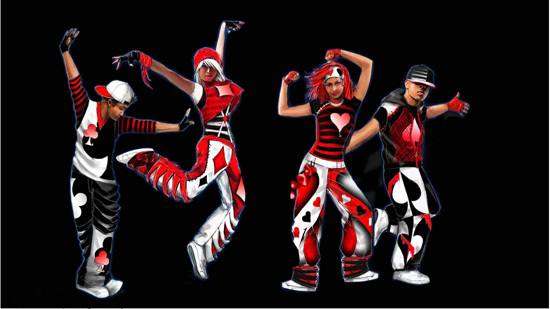 Also throughout the night, the "Hottest Deck in Town" will be dancing on stage and with the guests! Mad Arcade: ElecTRONica had the same arcade from the movie Tron, and now the Mad T Party has the Mad Arcade! 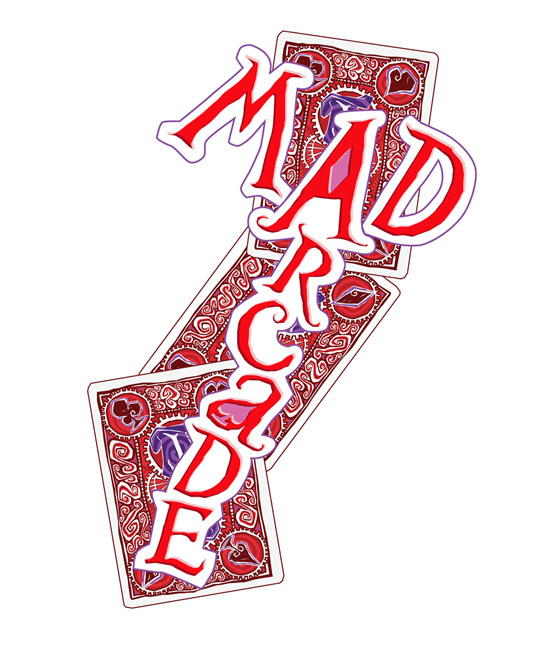 This arcade includes many of the classic style arcade and carnival games, with a Mad T Party twist of course. Here you will be able to knock down the teeth of the Cheshire cat, shoot sugar cubes into wobbling teacups, quickly fill the Bandersnatch's tummy with treats, play Disney's new Kinect Disneyland Adventures, and many more! There will also be many different kinds of drinks with interesting flavors that glow in the dark, such as cotton candy strawberry punch. I have not been able to find much about the menu right now, but you can imagine all of the wacky and amazing flavors Disney has been able to create to go with this colorful and imaginative party! What do you think? I think it will be a great new addition in place of ElecTRONica. I did love ElecTRONica and I'm sad to see it leave, but it will be nice to bring in something new and different to attract different crowds. 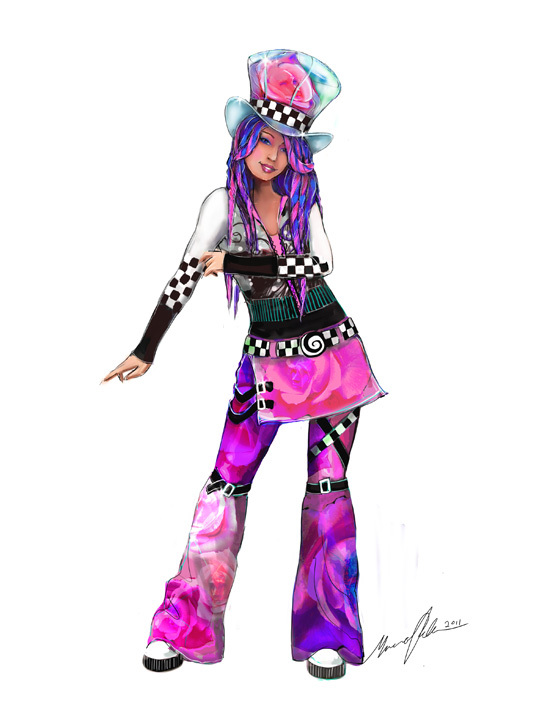 The Mad T Party officially begins on June 15, 2012! If you would like more updates on all things Disney, subscribe to the Disney Den right now! Hey Sara--THE Disney Freak is on Tumblr now too! What's The Disney Den's URL there? Follow me, follow you? However I can't follow people on there since it's my second blog, so when I follow it will show as "Lopesiie15". That's still me :) Just a heads up!